The Sharp Aquos Phone SH-12C manual or user guide for NTT Docomo available for download directly at nttdocomo.co.jp official webiste. The Sharp Aquos Phone SH-12C manual comes in PDF format with file size is 6.65 MB with 174 pages and support in english language. The Sharp Aquos Phone SH-12C user guide provide reference information and instruction to using this phone properly. In the Sharp Aquos Phone SH-12C user manual you can find information for example about unlocking SIM card, learn using phone basic operations, using internet, mail, using multimedia, using applications, phone setting guide, connecting setting and more. 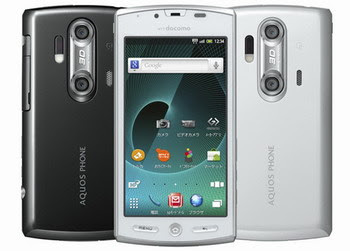 Read the table of content for the Sharp Aquos Phone SH-12C owner manual below after Sharp Aquos Phone SH-12C pictures. While for the Sharp Aquos Phone SH-12C mobile phone specifications such as it has 4.2-inches qHD (540 x 960) LCD high-definiton display, supported by 1.4 GHz Qualcomm MSM8255 processor with 2GB ROM and 512MB RAM memory, support connectivity via Wi-Fi, Bluetooth, and GPS, equipped with twin cameras (two megapixel camera) with shoot a full fledged 3D features, applied Android 2.3 (Gingerbread) operating system / platform. Get and download the Sharp Aquos Phone SH-12C manual or user guide and setting here.